The ingredients I listed for the rolls can definitely vary depending on preference, as well as what kinds of vegetables you have on hand. 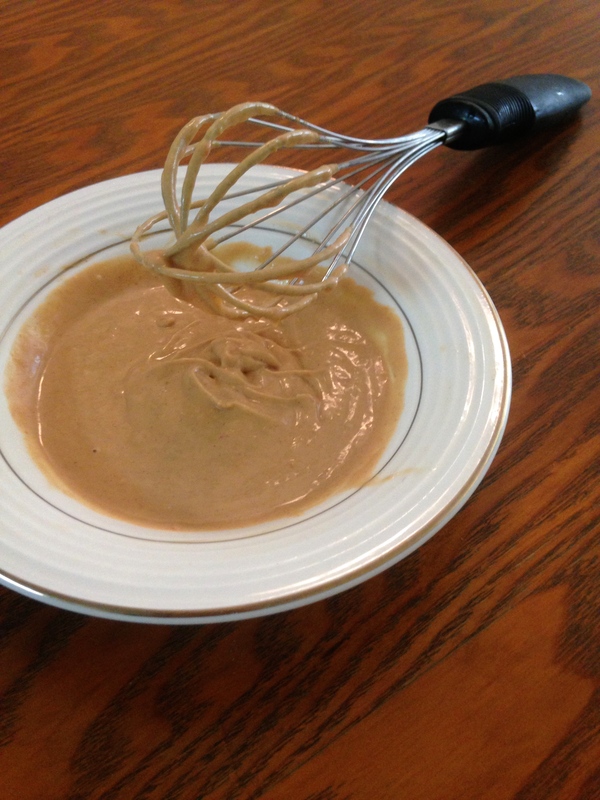 Feel free to experiment and try out different ingredients! 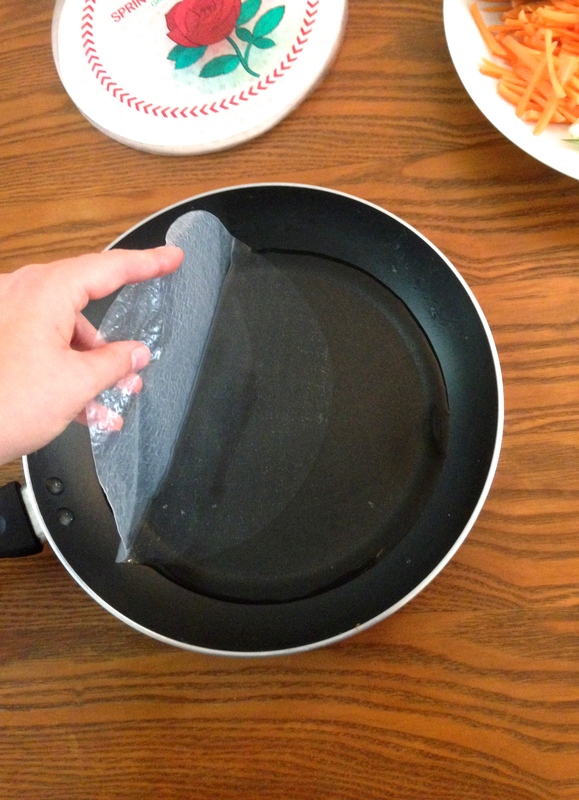 To start off, you want to get some sort of pan or large bowl to fill up with a small layer of water. 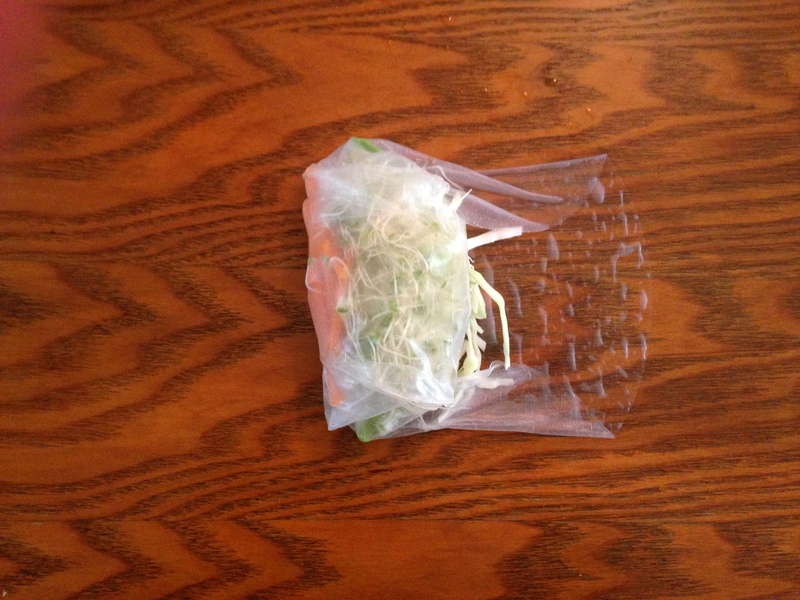 This is to rehydrate your spring roll wrappers and allow them to bend and roll up. 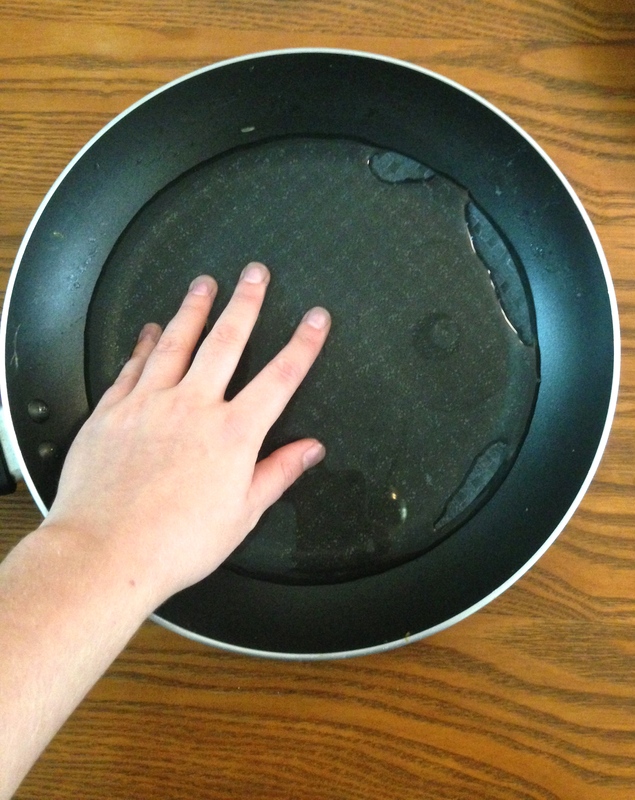 I like using a large pan, it works perfectly. 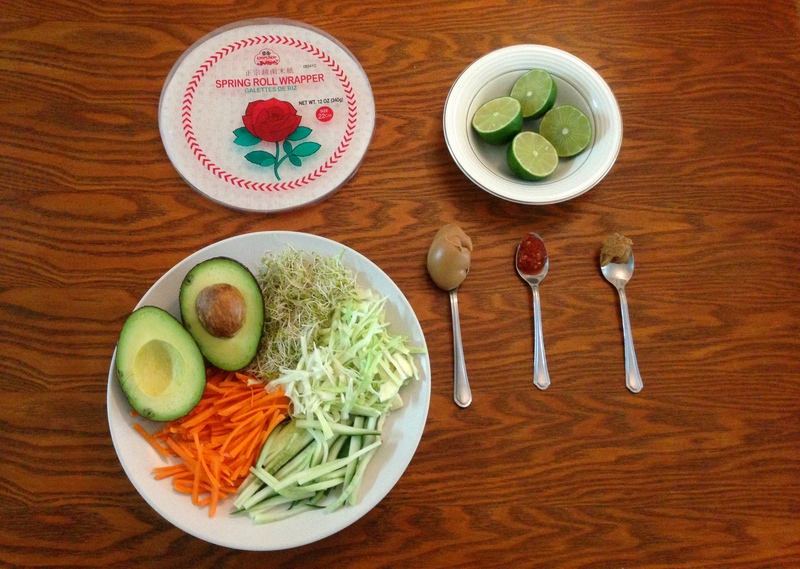 I always like to create a little station, with all my cut up veggies, wrappers, and water. This is what it usually looks like. Once you’re all set up, take one of your wrappers and place it in the water and fully submerge it. In about thirty seconds lift if up and you will see that it has become flexible. 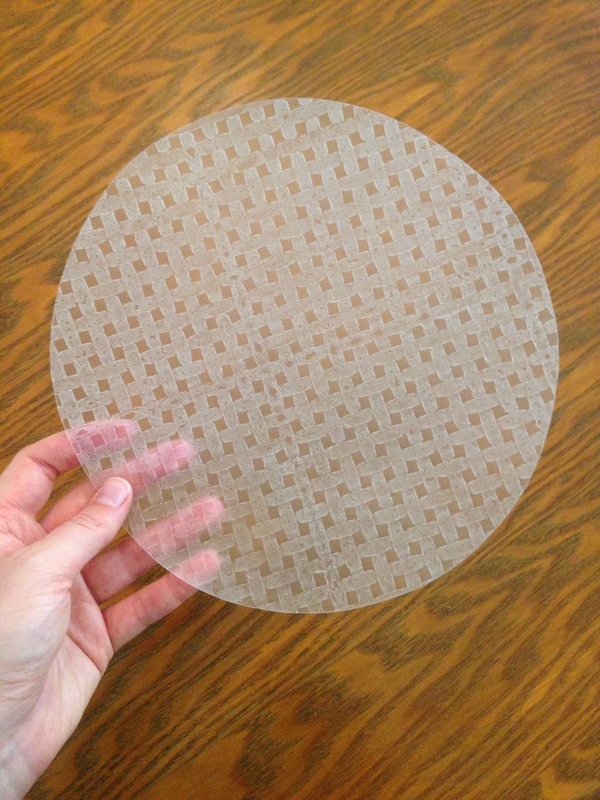 Now, let any excess water drip off it and lay it out on a dry flat surface. 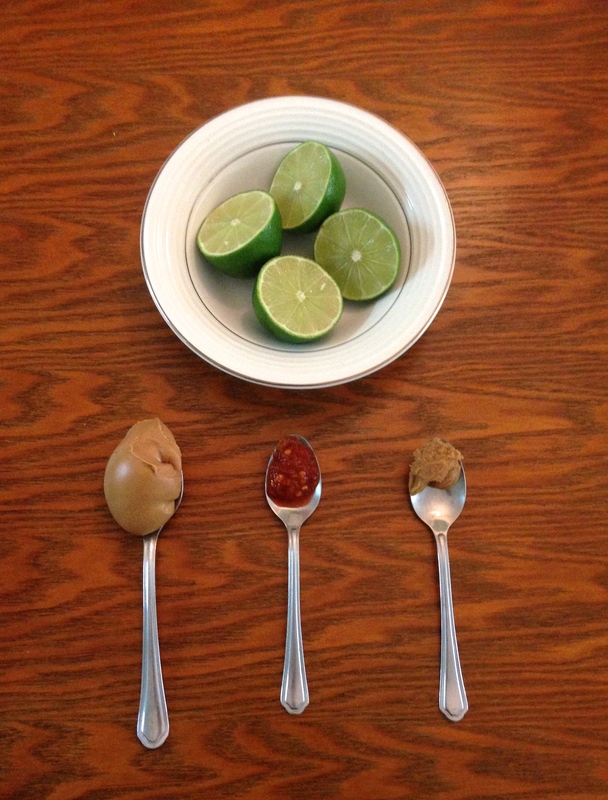 Now it’s time to put all your fillings in! 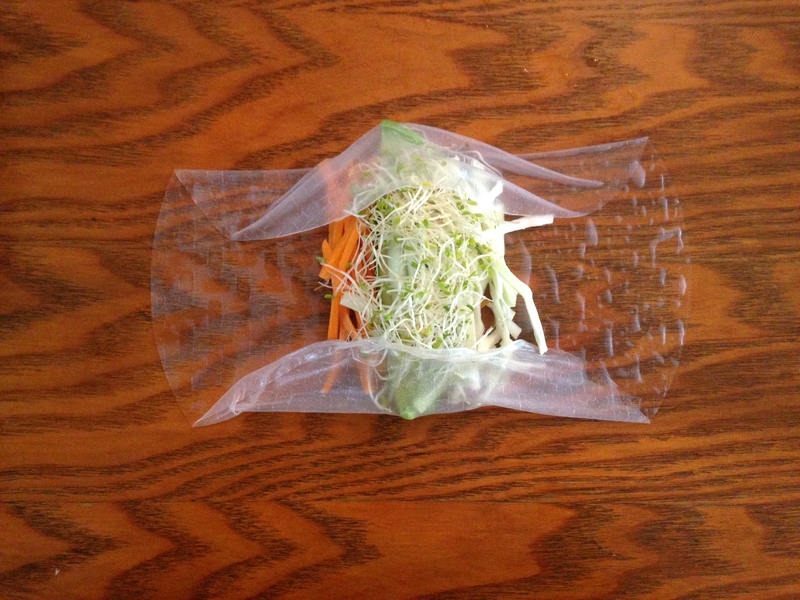 In the center of the wrapper, place all your veggies. Make sure not to put too much, or it may be hard to roll up. After a few practices, you’ll be able to figure out how much is too much (or too little). 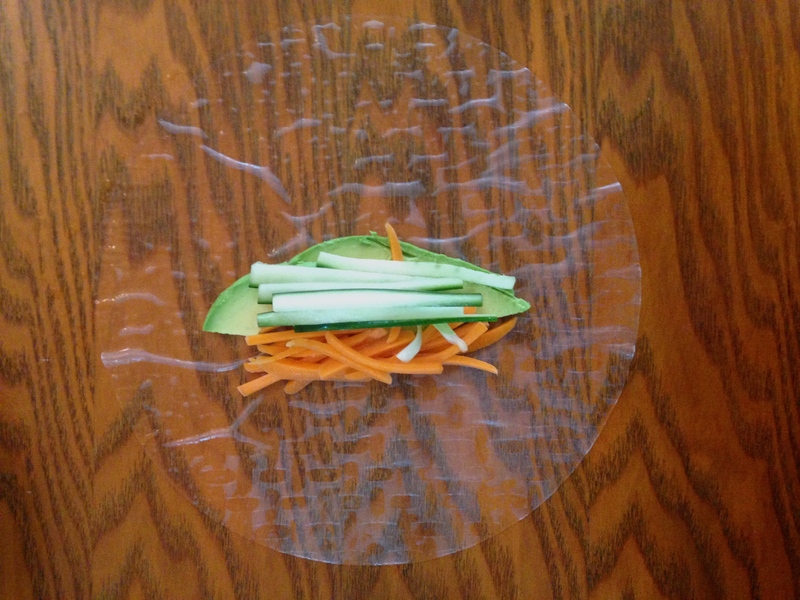 Now that all your veggies are on your wrapper, it’s time to roll it up! Start by folding in the horizontal edges. 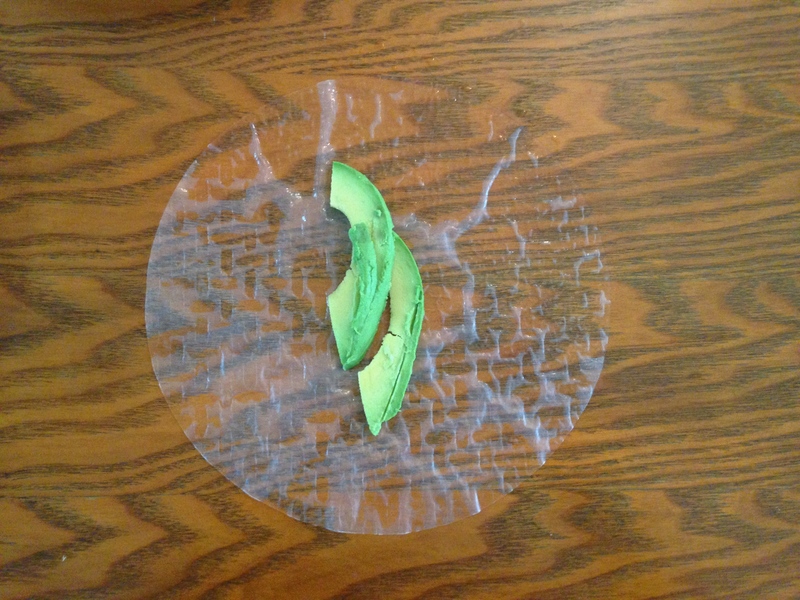 Now, fold up the end and then just roll it up! 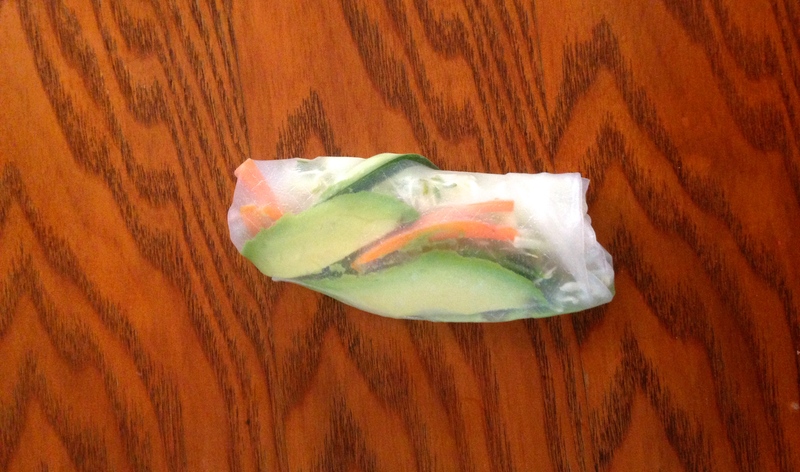 And now you have yourself a beautiful spring roll! The sauce is pretty self explanatory compared to the spring rolls. 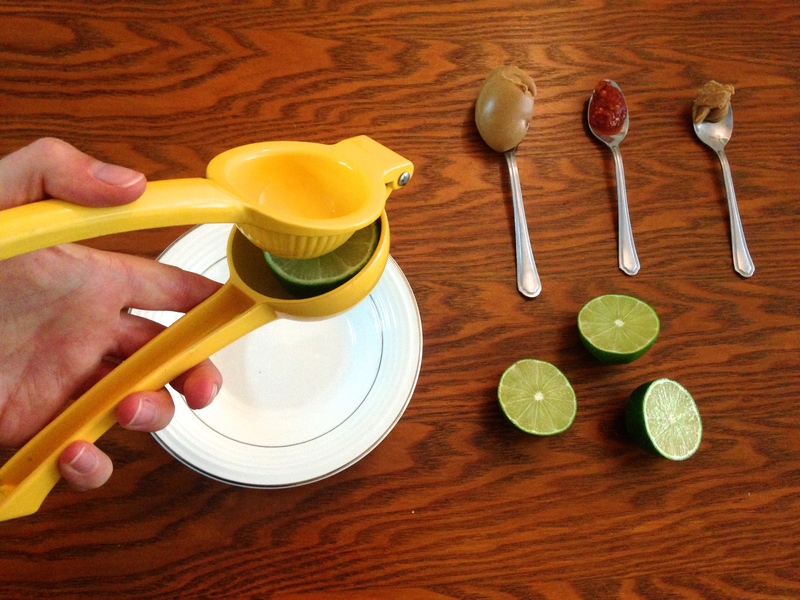 Just simply juice the limes, and add all ingredients into a bowl and whisk until well combined. 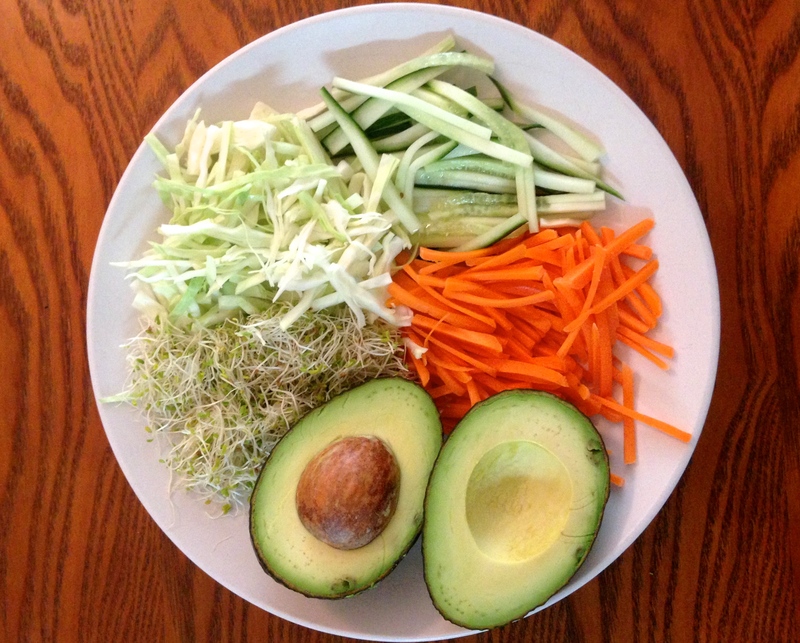 There you have it, a delicious and healthy lunch or dinner! If you’re looking for something new to try, definitely try out this one! This is so awesome! 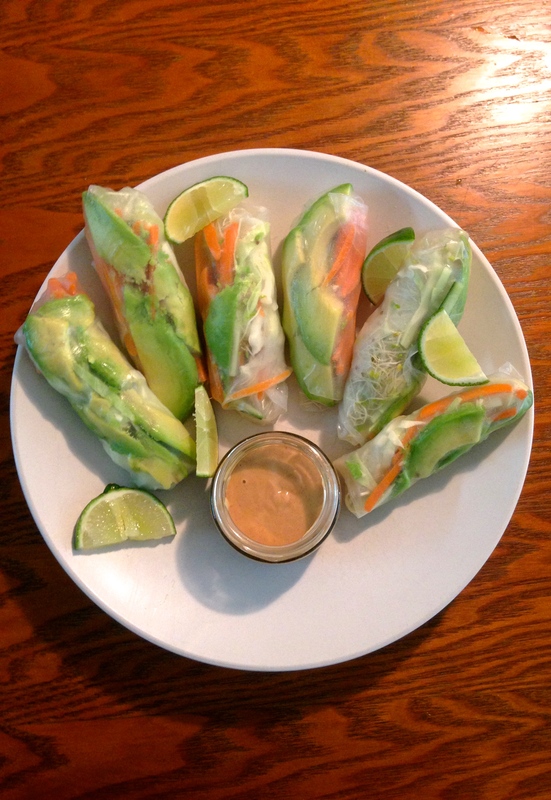 I recently posted a spring roll recipe as well – with peanut sauce too! Great minds think alike, no? 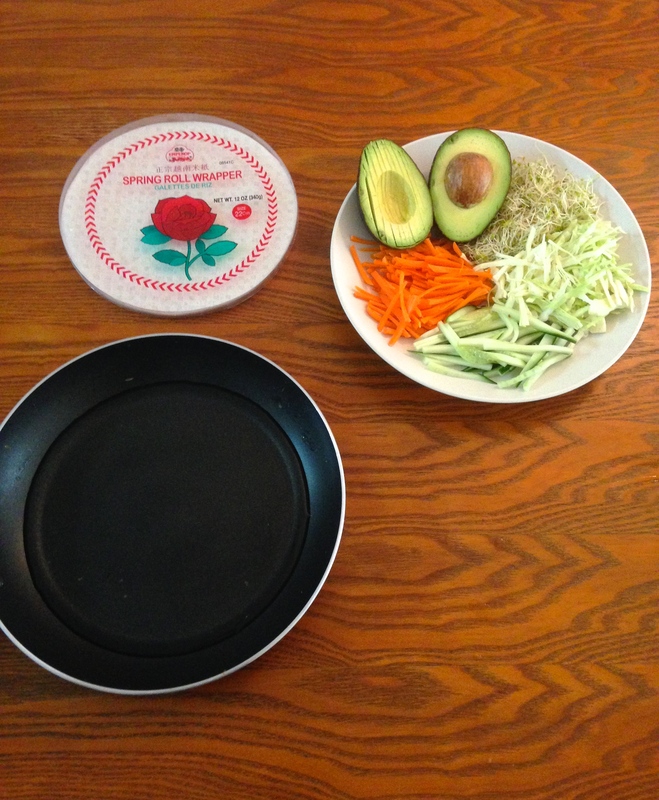 😉 I love your pics and step-by-step instructions! I’m sure you’ll like them! They don’t take very long to make either, especially if you just make one or two rolls.